Sometimes brides ask for me to incorporate certain colors into their bouquets. I'm not a real fan of dying flowers to an "unnatural" color, so I typically ask if they would like me to incorporate the color in the form of decorative wire or ribbon. 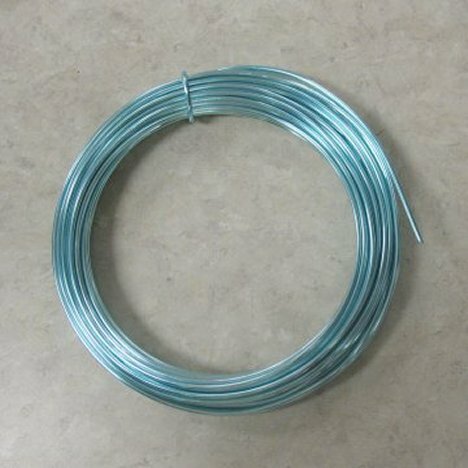 Bullion wire adds a delightfully colorful look without being too much "in your face". 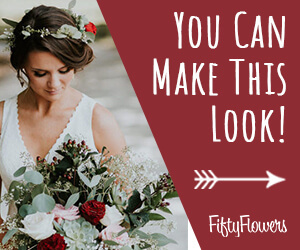 The slender wire has a crinkled texture and looks great wound around bouquet handles, wrapped around leaves and used as loops in the grasses of the bouquet. 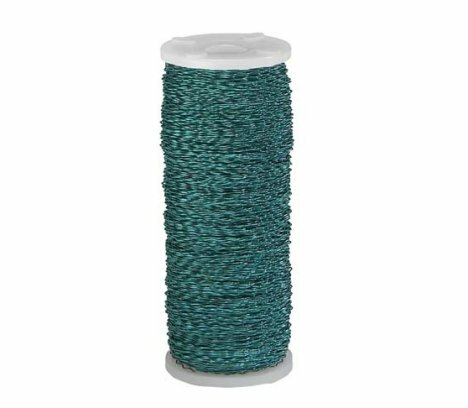 This small spool has plenty of extra for coordinating matching corsages and boutonnieres as well. 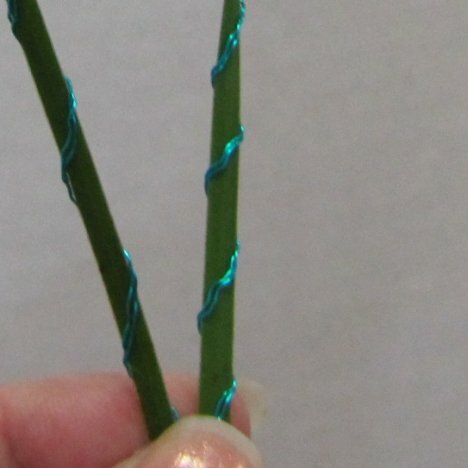 For a subtle look, I wrapped teal bullion wire around the blade of steel grass and taped it into a loop using floral tape. The closeup shows the crinkle texture of the wire. 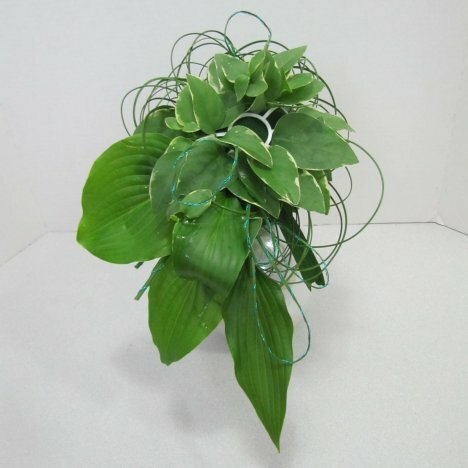 I then inserted the loops into the bouquet design, layering them over the larger aspidistra leaves for hint of the color the bride wanted to incorporate. 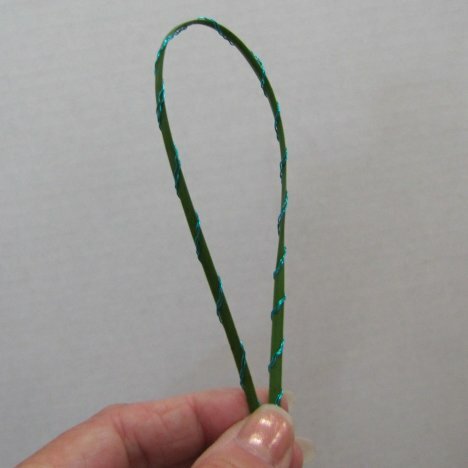 If you would like a bolder and stronger color effect, consider using diamond wire or larger decorative wire. 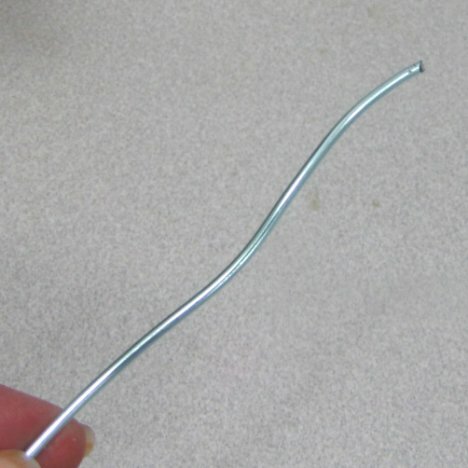 Oasis Decorative wire comes in 13 colors and is very malleable and easy to bend. 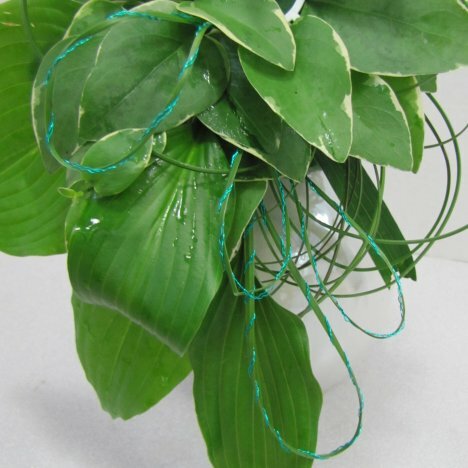 This decorative colored wire looks great as loops in the bouquet, as a wire collar and wrapped around the bouquet handle. 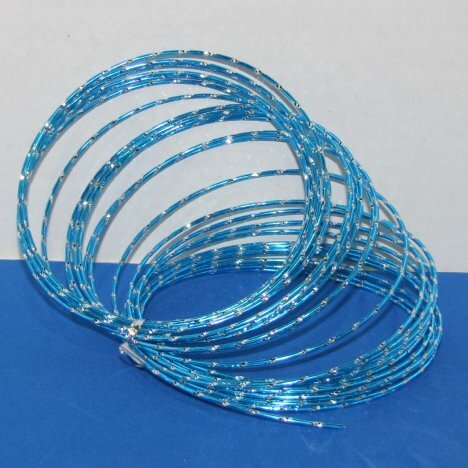 The diamond cut wire has extra sparkle and catches the light in photographs.